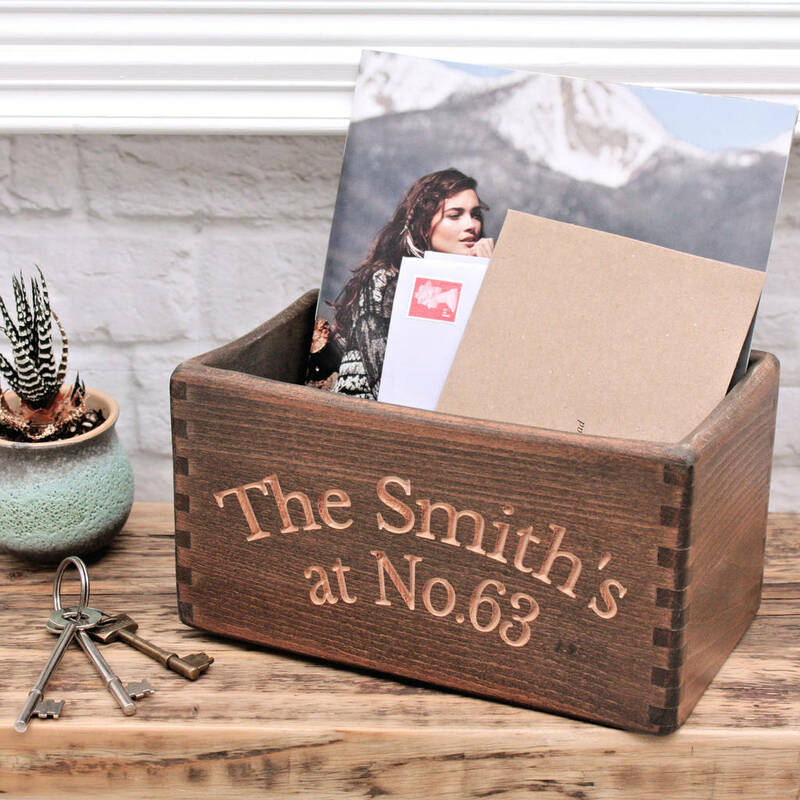 This personalised beech wood box 'crate' has so many practical uses, from key pot or post rack to kitchen tidy or potted plant holder. 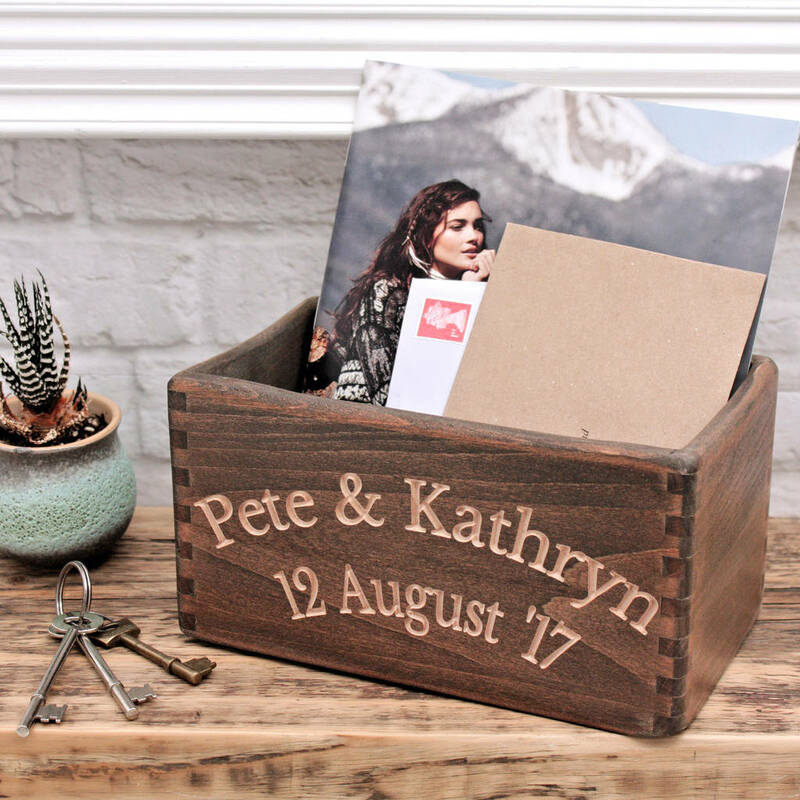 An adorable wooden box featuring your personalised carving on the front, made from beautiful beech wood and seemingly from a bygone age. 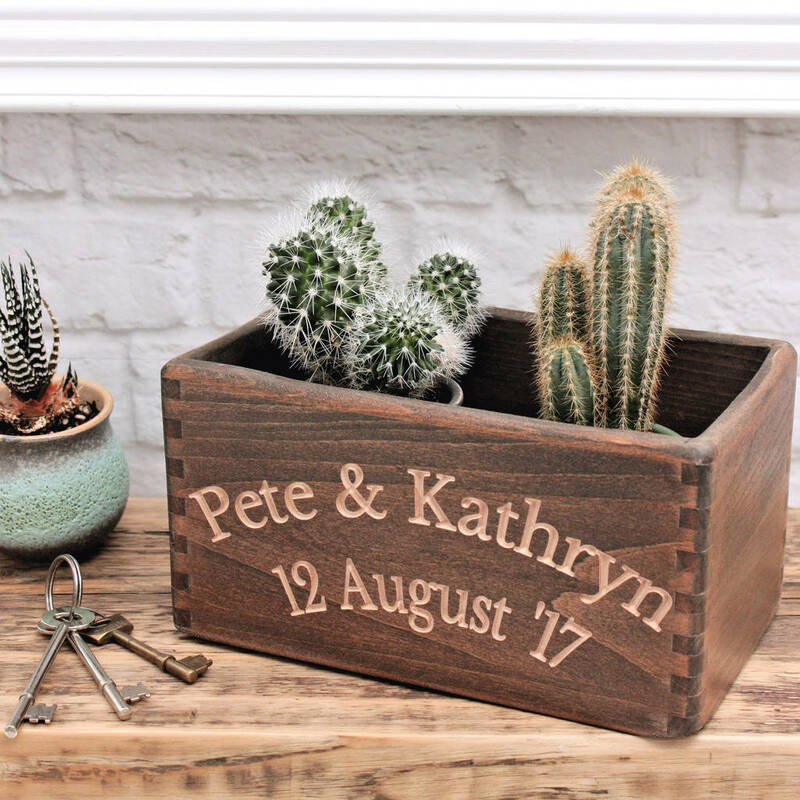 Swallowing keys, change and 'stuff' in the hallway; organising spices or baking utensils in the kitchen; presenting succulents perfectly on the windowsill; this charming and practical personalised beech box will find a role in any home. 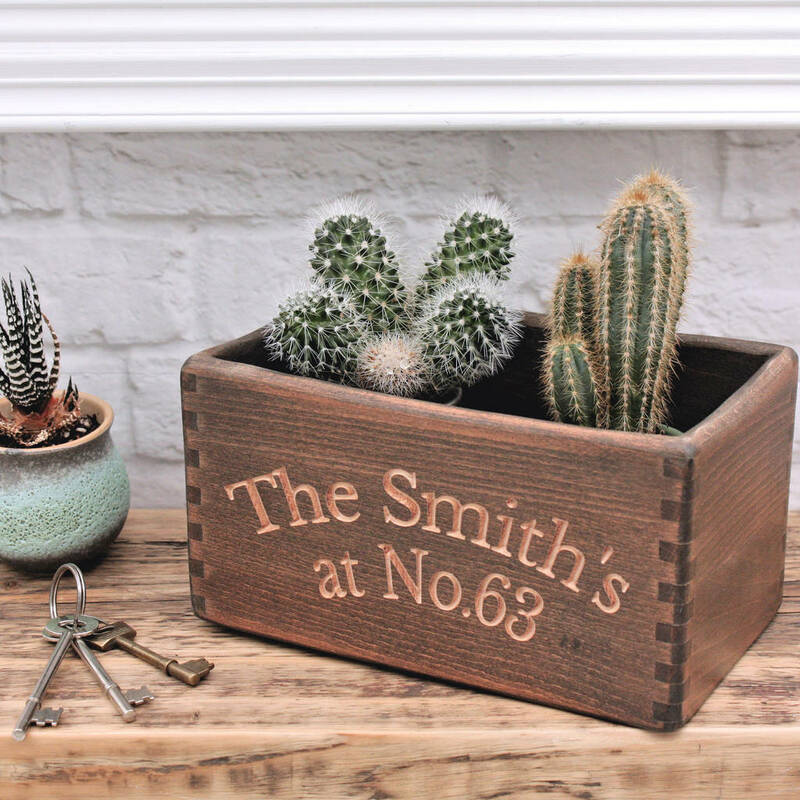 Surely the ideal moving house or new home gift? A quality solid beech wood box, hand shaped and hand finished in the UK. Our special combination of woodstains and varnishes bring out the grain and natural beauty of the wood. Personalised your wooden tidy box with your choice of personalised text carved into the front. Two lines are possible, each of up to 14 characters long (including spaces and punctuation). Tailor this gift to any occasion with your carved personalisation. Can be given as a moving, reitrement, birthday or christening gift. Hand-crafted and hand-finished, so each is unique!